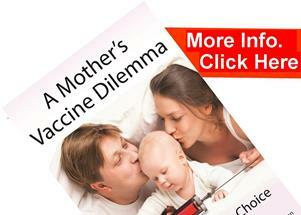 Herd Immunity – what is it? Here you will understand how groups of children in similar stresses will succumb to similar illnesses, and how childhood illnesses suddenly appear even in isolated families and communities where they could not have just been transferred from an outside person with the same illness. So we see there is a striking correlation between illness and weather change, change of seasons, a correlation between illness and childhood separation (i.e. starting nursery, school or university, new sibling, favourite teacher leaving), common environmental poisons in food, water and the air we breath, common family stresses, fear of illness, divorce, death or fear of death of a family member, loss of employment by the main provider etc, the microbes were always present but now the patients susceptibility changes and we see symptoms of illness. Some microbes associated with these illnesses may have been present all along and others come and go according to toxins, food sources, pollutants and transferred by person to person but the manifestation of the illness will depend on the susceptibility of the patient or the group. Lung conditions – croup, whooping cough etc. Which therefore influences the kinds of microbial illnesses that manifest in the child; the microbial illness cannot therefore be caught but develops if the susceptibility exists within the child. This is why most children in contact with other children with a so-called infectious illness do not contract the illness. Remember the classification of a polio epidemic is of the order of 35 in 100,000, and other illnesses are less than that. From a germ theory perspective we are lead to believe that children step into nurseries where the inhabitants have been cultivating bugs… bugs that have little access to the outside world, that have not come in contact with these children before and therefore can only be caught within the confines of the nursery building. Which, obviously, does not make microbial sense, these microbes are present everywhere, on the child, in the child, in its environment, home, food etc. Why do so many children succumb to these illnesses at the same time? This is due to the similarity in susceptibility as a consequence of the similarity of the individuals exposed to similar conditions at the same time… that is, children of a similar age group that are learning to be without their parents, often for the first time, learning to walk at similar times, toilet training at similar times, teething and so on. The spread of disease usually follows an age group even though they are in contact with other age groups, or follows siblings with similar inherited susceptibilities and/or similar home stresses and nutritional conditions. Given that the microbe is always present, if we are to understand microbial illnesses we need to understand the conditions that support them, trying to detect where the microbes come from will invariably lead you back to the patient. Epidemics can give the impression that ‘a bug is spreading around’, however the actual spread and incidence of disease would suggest otherwise. In epidemic situations the onset of the disease will occur in individuals in many different places that are separated by 100’s of miles, mountains, valleys, in different cities etc and will instantaneously start at the same time. This would suggest that there is a mass susceptibility that is caused by the conditions that are applicable to large areas at the same time. If disease were primarily caused by microbes without the necessary susceptibility, epidemics would follow a domino effect by person to person transfer, or at the very least airborne transfer, at a rate that would be limited by the speed at which the microbe could get from one person to another. Analysis of disease spread suggests that this is not the case. Flu viruses ever present, constantly changing, follow distinct epidemics according to weather change and environmental influences they happen instantaneously over very large distances in the minority of the population. 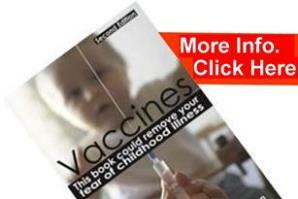 It is worth noting that illnesses such as polio, meningitis and encephalitis are NOT childhood illnesses (i.e. NOT developmental illnesses), but are the consequences of immune suppression, disease mis-management and therefore the movement of normal microbes and toxins from places in the body where they are meant to be to the internal systems of the body where they can affect the nerves and brain. The body can get into this severely immune deficient state from any illness. They are not caused by specific microbes. © 2019 Vaccine Side Effects. All Rights Reserved.